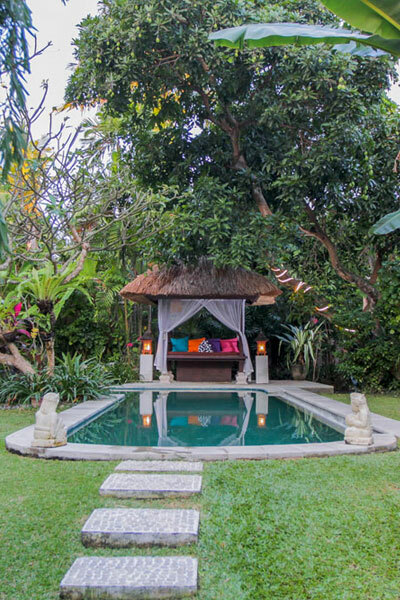 Villa Poppy is a two-storey, traditional Balinese, open-plan holiday home with a combining of natural roof tiles and thatched roof on a 950 square meters block of land in the heart of Seminyak. 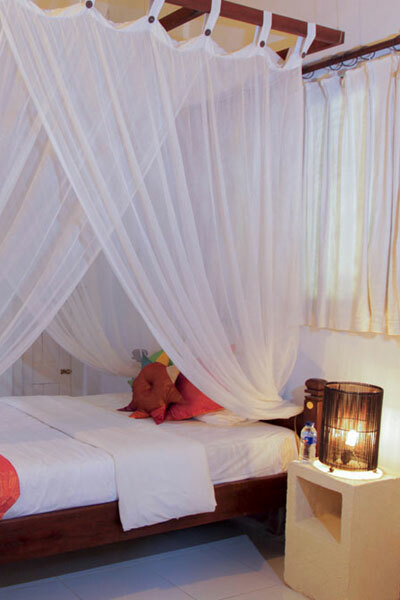 A maximum of six guests can be accommodated in the three bedrooms, which are all with air-conditioning and mosquito-nets. On the ground level, the main bedroom has a king-size bed and an indoor-outdoor en-suite. Also on the ground level, the second bedroom has two queen-single beds and access to the large indoor-outdoor main bathroom next door. Upstairs, the third bedroom has a four-poster queen-size bed and an en-suite which overlooks the garden and pool. Amazing time in Bali, first time here. The villa was great, so relaxing and tranquil. Staff went above and beyond. So friendly and lovely. My six month old loved their company. We all had a relaxing four days here, will definitely return to see the staff’s smiling faces. 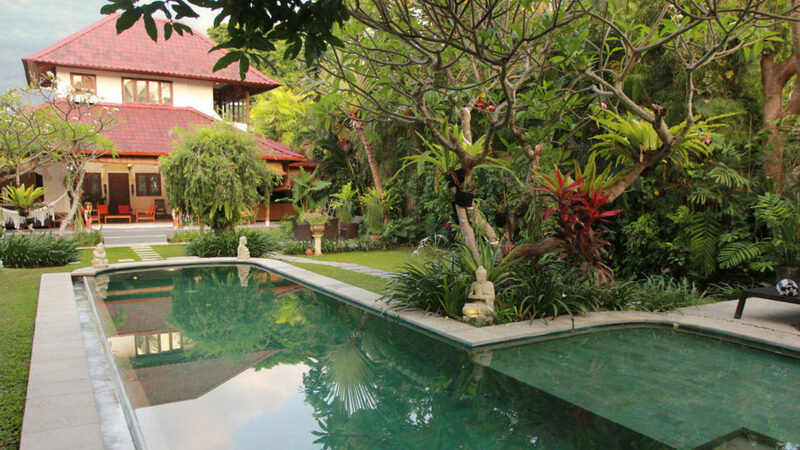 Thanks for the wonderful stay at Villa Poppy. Ayu was fabulous. Her cooking was delicious. Thank you Ayu! Putu was so helpful taking my son down the street on his scooter. Thanks Putu! The pool was devine! Gardens gorgeous!